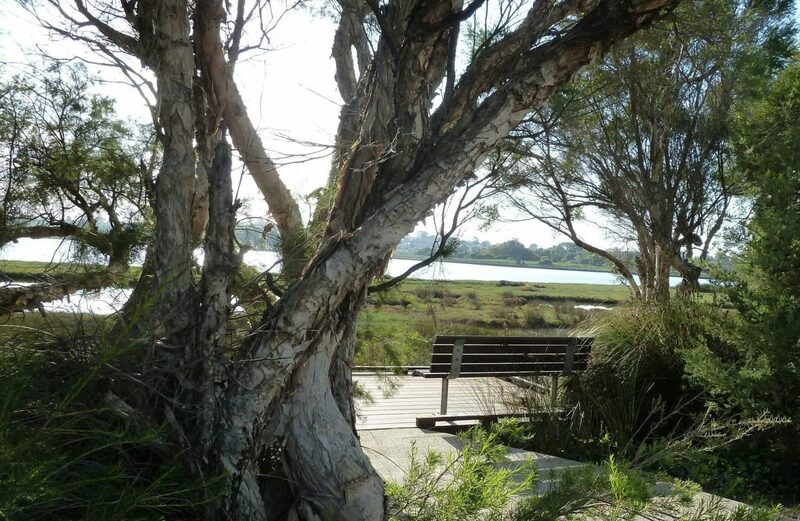 The Swan River Estuary is much-loved and provides a sense of place to the Perth community. At Tompkins Park in Alfred Cove we have a Marine Park bordered by a narrow margin of A-Class Nature Reserve that is part of Bush Forever Site 331. It is a very small pocket of native flora and fauna but it is precious. This place has international recognition for its ecological importance as well as its ancient cultural heritage values. This area is a protected sanctuary to a rich diversity of native fauna, including river dolphins and over 130 species of birdlife. It is a staging area for threatened species of migratory wading birds from the Arctic because it offers refuge to rest and ‘re-fuel’ on their yearly flights. Experts consider it to be one of the most important waterbird habitats in the south-west. But, it is also a last-remaining area of the threatened ecological community of coastal salt-marsh. There is barely 1% of this vegetation type remaining in the Region. It is home for a wide range of benthic organisms and supports numerous resident and visiting crustaceans, insects, fish, birds and mammals. 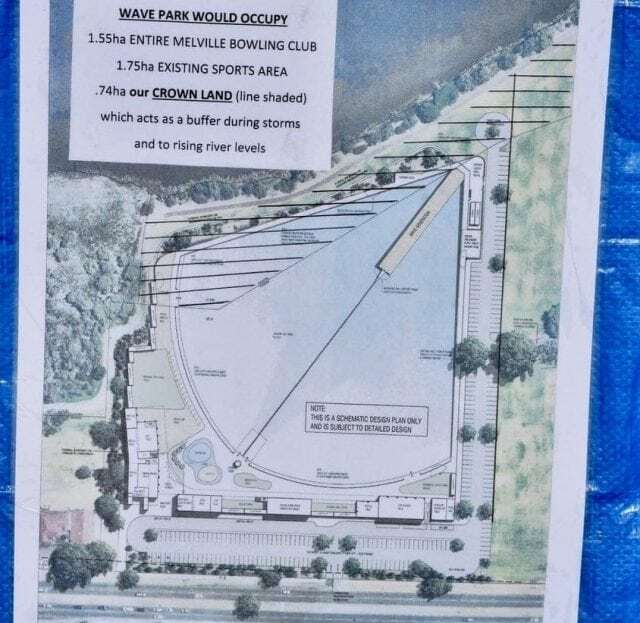 There is a proposal to construct a massive artificial wave park on the shores of the Swan River at Tompkins Park in Alfred Cove. The hard-surface/ impervious footprint of the development will be of nearly four hectares. 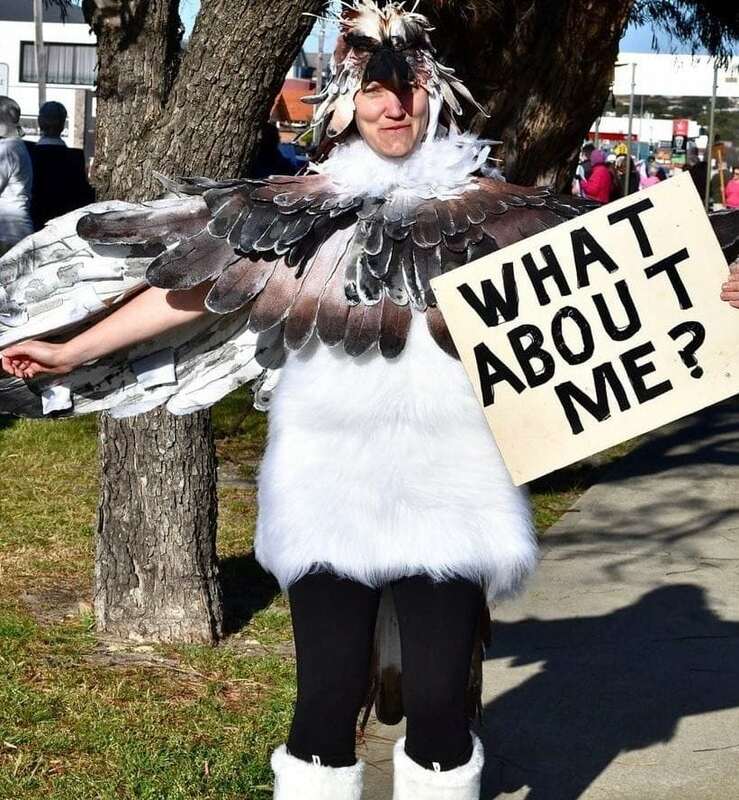 It will it preclude the restoration of the Crown Land as an ecological buffer to the Marine Park, and it will increase pressure on existing ‘protected’ native flora and fauna. Even though large areas are under grass, BF 331 has been identified as vital to the preservation of the outstanding natural values of the Swan River Estuary. It provides a green buffer to the Swan Estuary Marine Park at Alfred Cove. It also supports the narrow ribbon of foreshore vegetation classified as A-Class Nature Reserve. Within the area are pockets of surviving wetland/damp-land habitat important as wildlife corridors. If the development is given approval we will lose yet another beautiful estuarine landscape forever. Our wildlife will lose yet another important habitat. The Swan Estuary Reserves Action Group Inc. (SERAG) are campaigning to protect our wildlife and natural places at Alfred Cove. They call for the rejection of the artificial wave park on Tompkins Park. The Alfred Cove Action Group (ACAG) is also campaigning for an alternative use plan for Tompkins Park. Imagine this area becoming the Melville Bird Sanctuary and Discovery Centre! Such a development would strengthen, complement and support the internationally celebrated natural values, the Aboriginal and other heritage values, whilst also improving access to the Swan River for the community – young and old alike. Get to know the story through this Youtube video, or via the SERAG website. Join SERAG; Keep up with their campaign via Facebook. Sign their petition. Follow ACAG’s campaign on Facebook. Sign their petition. The fact that the state government is considering the WAVE PART on our foreshores is shameful, socially and culturally insensitive. Not to mention environmentally damaging. How can WA be so red neck???? build it on industrial land in the. Libra lake industrial area not on a river foreshore.The present grassed area offers a respite to users of canning highway and a buffer for the wildlife. The project only has itself to blame, they had plenty of appropriate choices on offer around outer Perth from Bullsbrook to Champion Lakes and Baldivus. The weekly release of toxic carcinogenic Chlor-amine compounds at the levels required for such a huge aquatic facility will be dangerous to any person nearby whether they are a visitor or even worse a neighbour. They have been badly managed from the start with many false claims and dishonest statements concerning environment, public health, and the project cost being offered by the proponents. Their Melbourne project is such an under funded paupers effort it looks like it will be a grave yard for rusting sea containers. Exact opposite of what the marketing pictures claimed would be built. The Melbourne project will be high health risk to any surfer with such a low water turnover rate.